Join forces with LassoSoft and be at the forefront of new Lasso work. Companies who become Lasso Development Partners are significant services, hardware or software providers, larger development agencies, developer co-operatives, or niche product developers with a desire to be on the leading edge of Lasso. Online Advertising: LDPs receive highly targeted advertising directly through the thousands of pages on the LassoSoft and LassoTalk site. These pages generate significant traffic, beneficial for both your click-through and SEO goals. Additional Advertising Opportunities: LDPs have first access to advertising opportunities in related LassoSoft activities - events, print, new initiatives, etc. A full-page, company-based listing on LassoSoft website, showcasing projects, offers, and areas of specialty. Targeted Business Development: Potential Lasso users who contact us regarding Lasso development resources and esrvices will be sent information on LDPs who are interested in providing services. Double your voting on the priority of new Lasso development or issues resolution. Your Lasso Development Partner membership doubles your group's votes (whether CLD, or CLD with LPA multiplier too) that can be allocated each month. View your account to see how many Votes you have to use. You can set your membership installments to occur on a cycle most suited to your billing needs - either monthly, or repeating on any given number of months. 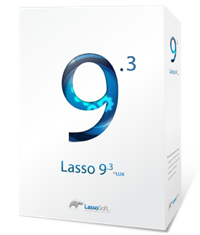 Contact our sales team sales@lassosoft.com for more information. Select from our Lasso Store under Memberships.